A New Vietnam-Israel Drone Deal? A closer look at reports that have surfaced about an agreement by both sides within the context of wider defense collaboration. Over the past few days, media outlets have been reporting that an Israeli firm has agreed on a deal to sell drones to the Vietnamese government. While the reports have not been officially confirmed by either of the two countries or the firm in question, they have nonetheless spotlighted the defense ties underway between the two countries which has been developing in recent years. As I have noted before in these pages, while Vietnam-Israel bilateral ties were officially established back in 1993, notable developments in the defense realm have only really begun to take off over the past few years. Both sides inked a memorandum of understanding for defense cooperation in 2015, and several inroads have begun to be made since then in various areas including Vietnamese purchases of weapons systems and explorations in realms such as technology transfer and defense industry. That has continued on in 2018 as well, with both sides commemorating the 25th anniversary of their establishment of diplomatic ties and Israel was commemorating the 70th anniversary of the establishment of the state of Israel. Indeed, just in October, both sides held the first-ever iteration of their formal defense dialogue in yet another notable development for this aspect of ties. One of the items that has been in focus within the defense relationship has been unmanned aerial vehicles (UAVs) or drones. Vietnam has previously ordered Israel-made drones for its military use in past years, including the Orbiter. And over the past few months, there has been sporadic reporting about Israeli firms selling more drones to Vietnam, with suggestions that Israel Aerospace Industries (IAI) was offering the Heron MALE UAV and Israel Aeronautics Defense Systems offering the Dominator. Over the past few days, we have seen another wave of commentary about this as media outlets have been reporting about a drone deal being concluded by both sides. A report published by online website Intelligence Online was subsequently referenced in Vietnamese and Israeli publications, including Israeli financial newspaper Globes and The Jerusalem Post. According to the reports, Israel Aerospace Industries Ltd. (IAI) has reportedly agreed to sell three drones to the Vietnamese government for $160 million. The report suggests that the deal, which had seen a period of uncertainty and delays, had finally been agreed, and that it includes three Heron Type 1 unmanned aerial vehicles (UAVs) supplied to Vietnam. The reports should be treated with caution considering the lack of official confirmation on specifics between either of the countries or the firm in question thus far. 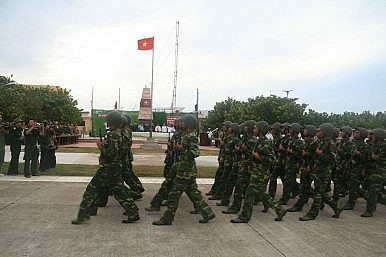 Nonetheless, they are not surprising given Vietnam’s interest in boosting its capabilities in this regard, and, if officially confirmed, they would be yet another significant development for ongoing defense ties between the two countries. What’s in the New Vietnam-Israel Defense Dialogue? A look at the significance of a notable first.